Previously the channel had several owners and this resulted in the channel having limited resources and a subpar on air presentation for many years that paled in significance to the UK SkyNews channel. With the significant investment by NewsCorp Australia, Sky News Australia hopefully should see massive improvements in their on air presentation. They only paid a paltry $20 million for the channel. Seven, Nine and Sky will continue to provide content in this news deal. ITs a long time coming. Looking at the comments on the Australian tv media forums, the channel gets a universal thumbs down for its poor quality. This left the window open for ABC Australia to launch a news channel a few years back. The progress of the channel will be interesting to watch. Unfortunately the tone of SkyNewsAU has significantly to a right-wing FoxNews style commentary type programming. The channel has lost loads of journalists recently. Nina Stevens, Stan Grant (ABC), Vanessa Grimm, David Lipson (ABC), Cameron Price (Seven), Tim Webster (2UE), Ben Dominsino, Uma Patel (ABC), Carrington Clarke (ABC), Mathew Thompson (Nine) , Dan Bourchier all have jumped ship. Fox News Australia?! Considering that the Sky brand otherwise isn't used there, and Fox is, I wouldn't be shocked to see a name change. Considering they have FOXTEL, FOX8 and FOX Sports, I think FOX News is more likely now it has one single owner. It's probably the only Sky brand outside of Europe, less Sky News Arabic. I realise that they both have a common shareholder in the form of the Murdochs but isn't Fox News part of 21st Century Fox rather than News Corp? For some reason the Australian TV assets went to News Corp rather than 21st Century Fox. Not sure why that was done, maybe there were particular levels of integration between FOXTEL and News Limited that they didn't want to break. Yes, but so is Sky News. Sky News is owned by Sky plc, not 21st Century Fox. Sky plc is owned by 21st Century Fox. Not outright, it's around 40% at the moment. FOXTEL is only 50% owned by News Corp. (Telstra has the other 50%) and FOX8 is owned by FOXTEL. 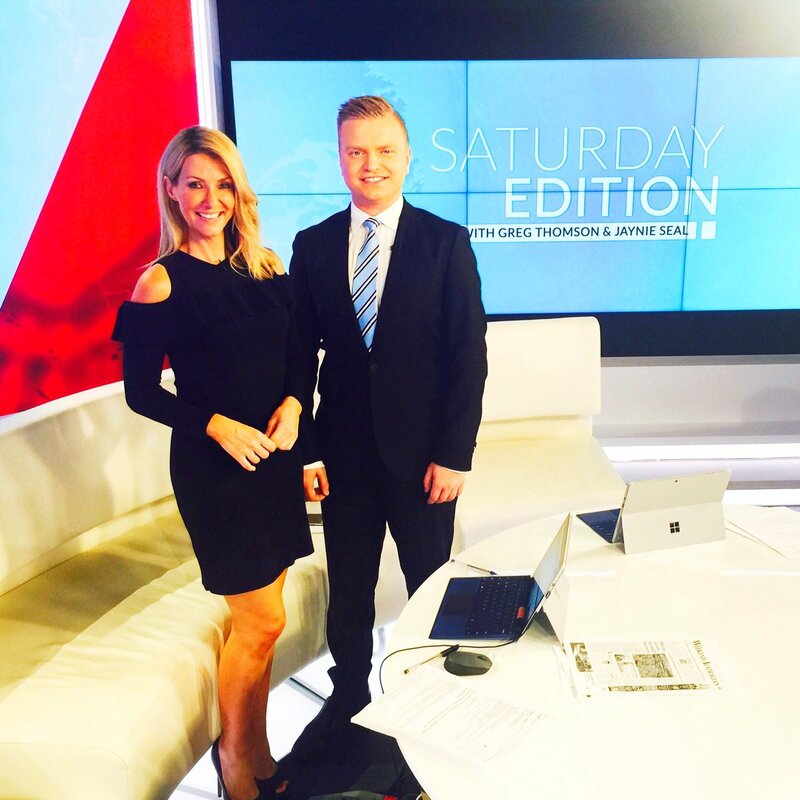 Sky News Australia gets new sets. - Apparently the channels editorially aligned with Fox News and features programmes featuring right-wing commentators and increasingly less rolling news. NEW - apparently the "skyline"portion is a led screen that can change. They add a soft for the breakfast programme. SkyBusiness got a new set as well. Its basically just a huge low res video wall. Not used very well IMO. Better than what they had.....The desk is hideous. An improvement, I guess.. Is it just me or are the graphics a bit cluttered?